I suspect the rapid decline of Apple’s software is a sign that marketing has a bit too much power at Apple today: the marketing priority of having major new releases every year is clearly impossible for the engineering teams to keep up with while maintaining quality. Maybe it’s an engineering problem, but I suspect not — I doubt that any cohesive engineering team could keep up with these demands and maintain significantly higher quality. I fear that Apple’s leadership doesn’t realize quite how badly and deeply their software flaws have damaged their reputation, because if they realized it, they’d make serious changes that don’t appear to be happening. Instead, the opposite appears to be happening: the marketing-driven pace of rapid updates on multiple product lines seems to be expanding and accelerating. 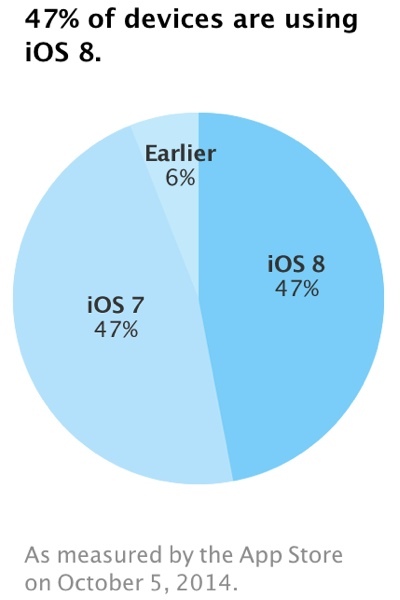 Very worrisome — a canary-in-the-coal-mine indicator that casual users no longer trust Apple with major iOS updates. Last year the number for iOS 7 adoption was in the 70s in October, which was a faster adoption rate than iOS 6 the year prior. But it’s very clear that I was wrong about what the primary factor is. The simple answer was staring me right in the face. It’s all about the over-the-air update requiring 5 GB of free storage space, and many people not having that much free space, and not knowing how or simply not wanting to deal with it. iOS 8 OTA update requires about 5GB of free space on the device. Most people, especially those who wouldn’t update until they get the badge on the settings app, don’t have 5GB free on their iPhone. 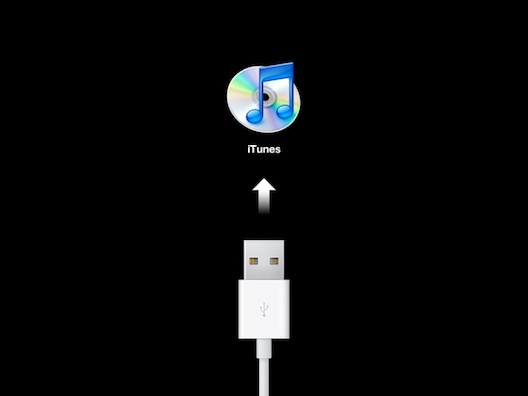 They have no idea they can plug their iPhone into their computer and iTunes will update it. They don’t know they can free up space by downloading their pictures and videos to their computer. This is a serious problem for Apple, because all those 16 GB devices (let alone the 8 GB ones) aren’t going to suddenly gain more free storage space on their own. A lot of these devices might never get updated to iOS 8, but would if the OTA software worked. Unless they can rejigger the OTA software update to require less free space, iOS 8’s adoption rate might lag permanently. iOS itself takes up about 4 GB, so these 16 GB devices only have about 12 GB free right out of the box. If there is any way that Apple could have brought the base model storage up to 32 GB with the new iPhones, they should have. And it’s inexcusable that they’re still selling new devices with only 8 GB of storage. Windows 10 feels like a platform that hasn’t seen serious or meaningful change in eight years. Apps have gotten much more powerful and there’s a handy way to search everything, but when you pick up a Windows PC it may not be immediately clear which decade it comes from. It’s the best Windows 7 ever, but it’s still Windows 7. Such a strange, yet predictable response to Windows 8 by Microsoft. Windows 7 was the de-Vista-ing of Windows. A return to Windows XP. Windows 10 is the de-8-ing of Windows. A return to WIndows 7.